The following will be explained in a step-by-step manner that is highly recommended you read in said order to fully understand the name of the Messiah Son of God. We will first look at the name of God the Most High "Elohim" and see how it is the "I AM" - the Alpha and Omega. Thereafter we will look at the individual names of the Trinity that make up Elohim: The Father, Holy Spirit and the Word (Son of God). You will see how the abundant linguistic evidence and logical reasoning proves WHY these MUST be the actual, true names of "God" and not those we've been falsely programmed to believe. f. The Messiah's Name is the Reason for the Death for "Blasphemy"
The Word & Son of Elohim "I AM" The Holy Spirit "I AM"
1. Why we need to know God's Names. 2. God's name is ELohim (The Most High). 3. The Son of God's name is ImmanuEL which means "God with us". 4. I AM is the Alpha and Omega: The Father, the Word & Holy Spirit. 5. The Son of God is the Word "I AM"" that Spoke to Moshe. Testament: the Word made Flesh. are one and the same He gave to Moshe as "I AM". Only a remnant of the world population knows the true names of the Father and the Son which the Messiah tells us twice we must bear on our forehead (Revelation 14:1 and Revelation 22:4). Unfortunately the WHOLE WORLD has been deceived to call them by false pagan names for almost 2,000 years. You will realize why it's so important to have the TRUE name of the Father and Son on your forehead since your salvation is based on knowing them. The evidence as you will see below is both overwhelming as to what they truly are and obvious once you know the truth. By extension, we will NOT be saved by calling on a false name of God. So as you can see, it is paramount that we know the TRUE names of the Father and the Son ("God" / "Lord"). To properly explain and understand the names of the Father and the Son, take time to read the following in an orderly, step-by-step manner - if you jump to see sections further below it may not make as much sense because we've been indoctrinated, programmed and trained to believe something in our native language - completely ignoring the original Paleo Hebrew and Greek (arguably Aramaic) roots of the scriptures which became irretrievably lost when further translating to English or other languages that distorted the original meaning of many key names and words and by extension, context of certain phrases. Note the אֵל in the name of Elohim ("God") above - this is "EL" which we will see below. divine (1), divine being (1), exceedingly (1), God (2326), god (45), God's (14), goddess (2), godly (1), gods (204), great (2), judges (3), mighty (2), rulers (1), shrine* (1). Take particular note of the enlarged symbols above - they contain the הִ and אֱ they represent the Aleph Tav - the Alpha and Omega - more on this below and their incredibly profound importance in determining the TRUE names of the Father and the Son. Once again, take note the אֵל in the name of EL ("God") mentioned above that appears in "ELohim". Also note the הִ and אֱ they represent the Aleph Tav - the Alpha and Omega - more on this below and their incredibly profound importance in determining the TRUE names of the Father and the Son. You will now understand how ’ĕ·l fits and applies into the name of the Messiah further below. When translating names that contain the segment אל ('el), it usually refers to אלהים ('elohim), that is Elohim, or God, also known as אלה ('eloah). Recent archaeological, biblical, and extrabiblical research has led scholars working in the area of the origins of Israelite religion to assert rather boldly and confidently that the original god of Israel was in fact the Canaanite deity El.1 Just exactly how has this come about you ask? Second, there exist numerous parallels and similarities between descriptions and cultic terminology used for El in the Canaanite texts and those used for Yahweh in the biblical sources (see below). At some point, it is ascertained, the cultic worship of Yahweh must have absorbed that of El, through which means Yahweh assimilated both the imagery and epithets once used of El. Finally, there is strong confirmation of this assimilation in the biblical record itself. In the oldest literary traditions of the Pentateuch, it is El who regularly appears and not Yahweh, or Yahweh as El! The patriarchal narratives identify El as the deity to whom many of the early patriarchal shrines and altars were built. For example, we are informed in Genesis 33:20 that Jacob builds an altar in the old cultic center of the north, Shechem, and dedicates it to “El, god of Israel” (’el ’elohe yišra’el ). There is no ambiguity in the Hebrew here: ’elmust be translated as a proper name, El.3 The textual tradition from which this text derives,the Elohist, ultimately remembers a time when El was the patron god of Israel. That El was the deity worshiped at Shechem is also attested in Judges 9:46, which speaks of the shrine of “El of the covenant.” The god of the shrine at Bethel, which literally translates, “house of El,” is additionally El—”I am El of Bethel” (Gen 31:13; cf. 35:7)—and appears to Jacob as El Shaddai (35:11; cf. 48:3). Jacob has another encounter with El at Penuel, which is so named because Jacob sees El face-to-face (32:31). Moreover, Isaac blesses Jacob through El Shaddai (28:3), and likewise Jacob blesses Joseph “by El of your fathers” (49:25). “El who sees” is given as the etymology of Beerlahai-roi in Genesis 16:13. And we are informed that Abraham journeys to the old cultic shrine at Beersheba, where he plants and worships a tree and calls on the name “El the eternal” and at the same time Yahweh (Gen 21:33). Contrary to Genesis 33:20, where the Shechemite El is presented unambiguously as the “god of Israel,” in Genesis 21:33, El is apparently already assimilated to Yahweh (see below). Finally, Genesis 14:18-22 speaks of “El the most high,” of whom the Canaanite Melchizedek is priest at Jerusalem. This assimilation between Yahweh and El, or El into Yahweh, is present in much of the Priestly material as well. In fact, the Priestly source largely advocates this assimilation. In Genesis 17:1, the Priestly writer states that “Yahweh appeared to Abram and said to him: ‘I am El Shaddai.’” And Exodus 6:2-3, in contradiction to J (#11), has Yahweh assert: “I am Yahweh. And I appeared to Abraham, to Isaac, and to Jacob as El Shaddai, and I was not known to them by the name Yahweh.” Although the verse suggests an identification between Yahweh and El “of the mountain,” the verse also subtly recognizes an ancient distinction between the god of the patriarchs (El) and the god of the Mosaic era (Yahweh). But the assimilation is clear here: the patriarchs who worshiped El in the past were actually worshiping Yahweh, claims the Priestly writer. Perhaps it is necessary at this point to ask: Who was El? And why is he even mentioned in the Bible in the first place, let alone as the god of Israel in the older literary traditions of Genesis? Our knowledge of El predominantly comes from an invaluable corpus of tablets discovered in 1929 in the ancient city of Ugarit, a major city-state of the second millennium BC located on the northern coast of Syria, modern day Ras Shamra.4 The Ugaritic tablets are the best available witness to Canaanite religion and religious practices, and thus also “to the background from which the religion of Israel emerged, and to the Canaanite beliefs that it shared, adopted, compromised with, and sometimes rejected.”5 The Ugaritic literature depicts El as the sovereign deity of the Canaanite pantheon. He is frequently referred to as “Father of the gods,” “the eternal King,” and “Creator of all living beings.” El’s other epithets include: “El the Kind, the Compassionate,” “the Bull,” “the Ageless One,” and “the Father of Years.” He is depicted as bearded, and residing in a tent or a tabernacle, whose throne rests on Cherubim. He is the god of blessings and of covenants. Many of these epithets and images later become assimilated to Yahweh. For example, Yahweh is often depicted as bearded, as King of the gods, as Compassionate, and as residing in a tent, whose throne, like that of El, rests on Cherubim. There are, in addition to this, numerous El epithets in various strains of biblical tradition—epithets that through a process of assimilation and adoption later become associated with Yahweh. We have already encountered El Shaddai, “El of the Mountain.” Like Yahweh who is associated with the mountain of Sinai and later in eschatological traditions with Zion, so too El resides on a mountain. Other patriarchal narratives attest the use of El Olam, “El the Eternal” to whom Abraham plants and worships a tree at Beersheba, El Elyon, “El the Most High,” the god of Melchizedek (Gen 14:18-24), and El Roi, “El who sees” (Gen 16:13). It is propable therefore, as many commentators have contended, that the early Israelites actually worshiped El through his epithet ‘Yahweh.’ This process of assimilation is usually presented the other way around in the biblical literature: Yahweh is worshiped through the epithets of El: Shaddai, Olam, and Elyon. Contrary to these biblical traditions that suggest an assimilation between Yahweh and El, there are other passages that seem to indicate that Yahweh was a separate and independent deity within El’s council. Deuteronomy 32:8-9 is one of those rare biblical passages that seemingly preserves a vestige of an earlier period in proto-Israelite religion where El and Yahweh were still depicted as separate deities: Yahweh was merely one of the gods of El’s council! This tradition undeniably comes from older Canaanite lore. When the Most High (’elyôn) gave to the nations their inheritance, when he separated humanity, he fixed the boundaries of the peoples according to the number of divine beings. For Yahweh’s portion is his people, Jacob his allotted heritage. There are two points to take away from this passage. First, the passage presents an apparently older mythic theme that describes when the divine beings, that is each deity in the divine counsel, were assigned and allotted their own nation. Israel was the nation that Yahweh received. Second, Yahweh received his divine portion, Israel, through an action initiated by the god El, here identifiable through his epithet “the Most High.” In other words, the passage depicts two gods: one, the Most High (El), is seen as assigning nations to the divine beings or gods (the Hebrew word is elohim, plural “gods”) in his council; the other, Yahweh, is depicted as receiving from the first god, the Most High, his particular allotment, namely the people of Israel. Similarly, in another older tradition now preserved in Numbers 21:29, the god Chemosh is assigned to the people of Moab. Other biblical passages reaffirm this archaic view of Yahweh as a god in El’s council. Psalm 82:1 speaks of the “assembly of El,” Psalm 29:1 enjoins “the sons of El” to worship Yahweh, and Psalm 89:6-7 lists Yahweh among El’s divine council. Thus there seems to be ample evidence in the biblical record to support the claim that as Yahweh become the supreme national deity of the Israelites, he began to usurp the imagery, epithets, and old cultic centers of the god El. This process of assimilation even morphed the linguistic meaning of the name El, which later came to mean simply “god,” so that Yahweh was then directly identified as ’el—thus Joshua 22:22: “the god of gods is Yahweh” (’el ’elohim yhwh). Noteworthy also is the fact that unlike the god Baal, there is no polemic in the Bible against El, and all the old cultic centers of El, those in Jerusalem, Shechem, and Beersheba, were later accredited to Yahweh. Since the large majority of patriarchal narratives that speak of shrines and altars to El are found in the northern kingdom, such as Bethel and Shechem, and, on the other hand, many biblical texts seem to accredit Yahweh’s origin to the southern Negeb, the current scholarly hypothesis is that the worship of El in the north and of Yahweh in the south eventually merged. This thesis finds further support in the incident of Jeroboam, who may have acted to reestablish the cult of Yahweh-El at Dan and Bethel via his “golden bulls” (#155). In sum, the biblical literature, spanning as it does hundreds of centuries of cultural and cultic traditions, preserves divergent views, portraits, theologies, and origins of its god Yahweh. We will come across others. It is abundantly clear that the name of God within His chosen people's name is "EL" of "ELOHIM" and NOT "YHWH", "Yah", 'Yahweh" or "Jehovah"
So what does Aleph Tav mean or stand for? Actually, Aleph Tav does not mean anything in particular in the ordinary sense. However, it was strangely peppered throughout the Bible. For ages during Old Testament times, people and even scholars were stumped and were clueless by the presence of “Aleph Tav”. Highlighted in the middle; when God was refered to, elohim et, aleph tav ( ) was followed behind, and was untranslated. It simply cannot be translated because it is like AZ in the middle of the sentence. No translation will ever make any sense. In another example, Zechariah’s prophecy on the future deliverance for Jerusalem; “Then I will pour out a spirit of grace and prayer on the family of David and on the people of Jerusalem. They will look on me whom they have pierced and mourn for him as for an only son. They will grieve bitterly for him as for a firstborn son who has died. Zechariah 12:10 The me whom they have pierced, between me and whom, Aleph Tav appears. The verse then could be read as: “They will look on ME (Aleph Tav), whom they have pierced…” Again, no translation of Aleph Tav will make sense. But the light finally came on in New Testament times and the veil was finally removed. In Revelation 1:8, “I am the Alpha and the Omega—the beginning and the end,” says the Lord God. “I am the one who is, who always was, and who is still to come—the Almighty One.” Lord God declared Himself to the the Alpha and the Omega-the beginning and the end. And in Revelation 22:13, the final chapter of the entire Bible, Jesus Christ Himself finally revealed that He is the Alpha and Omega! So whenever you see a Aleph Tav in the Bible, it is the personal signature of Jesus Christ Himself! No one will and can ever use it because it simply cannot be used, only Jesus is big enough that can encompass the entire beginning and the end. So cool right! And since we know the very first verse in the Bible, you want to know the last verse? Click on blue number, 'e' initial and name above to arrive at their Strong's Concordance definition. By understanding the meaning of the Tav Aleph, it will become very clear the true name of the Father and the Son who spoke these very words describing Himself and once you see what His name actually is, you will see why it inflamed the Pharisees believing Him to be speaking blasphemy for not recognizing who He truly was and rejecting Him despite His fulfillment of many, many prophecies (see Prophetic Testimony here). AHAYAH ASHER AHAYAH in the 7 ORIGINAL Hebrew, Aramaic, Greek, Latin, Talmud, Kabbala and Pistis Sophia Texts. The list below are proof of how the name of the Most High has been kept and respected among the most recognized original writings of various beliefs - this is not an endorsement of some of those teachings. The word Ehyeh is used a total of 43 places in the Hebrew Bible, where it is often translated as "I will be" — as is the case for its first occurrence, in Genesis 26:3 — or "I shall be," as is the case for its final occurrence in Zechariah 8:8. Used by God to identify himself in the Burning Bush, the importance placed on the phrase, as it is, stems from the Hebrew conception of monotheism that God exists by himself for himself, and is the uncreated Creator who is independent of any concept, force, or entity; therefore "I am who I am" (ongoing). In appearance, it is possible to render YHWH (יהוה) as an archaic third person singular imperfect form of the verb hayah (אהיה) "to be" meaning, therefore, "He is". It is notably distinct from the root El, which can be used as a simple noun to refer to the creator deity in general, as in Elohim, meaning simply "God" (or gods). This interpretation agrees with the meaning of the name given in Exodus 3:14, where God is represented as speaking, and hence as using the first person — ehyeh "I am". Other scholars regard the triconsonantal root of hawah (הוה) as a more likely origin for the name Yahweh (יהוה). (Editor's note: the root is NOT hawah as mentioned above - which would make it Yah-hawah - it is hovah which is why it is Yah-hovah - see YHWH in bottom section of this page to discover it's true meaning of god of deceit and wickedness). Targum Onkelos (or Unkelus), is the official eastern (Babylonian) targum (Aramaic translation) to the Torah. famous convert to Judaism in Tannaic times (c.35–120 AD). Mount Sinai. However, it was later forgotten by the masses, and rerecorded by Onkelos. God's name (Exodus 3:14). The King James version of the Bible translates the Hebrew as "I Am that I Am"
making it the oldest known Greek Old Testament. Deuteronomy 32:39 or Isaiah 43:10, two other passages that were cited. Hebrew YAHWEH (or, unreconstructed, YHWH) IS NOT translated into Greek as EGW EIMI…YHWH is not found in Exodus 3:14 and is not the LXX translation EGW EIMI. The LXX EGW EIMI hO WN is the translation of the EHYEH ASHER EHYEH." The Septuagint translates ehyeh asher ehyeh of Exodus 3:14a into Greek as "ego eimi ho on", which in turn translates into English as "I am the one who is", and it translates the absolute ehyeh of 3:14b as "ho on", "the one who is". This earliest of all translations of the Hebrew thus associates the revelation of Exodus 3:14 with the concept of absolute existence. In the Hellenistic Greek literature of the Jewish Diaspora the phrase "Ehyeh asher ehyeh" was rendered in Greek "ego eimi ho on ", "I am the BEING". Septuagint Exodus 3:14 And God said unto Moses, I am HE WHO IS (ho ōn): and he said, Thus shalt thou say unto the children of Israel, HE WHO IS (ho ōn) hath sent me unto you. Rev 1:8 I am Alpha and Omega, the beginning and the ending, saith the Lord, the BEING (ho ōn), and THE WAS (ho ēn), and THE IS TO COME (ho erchomenos), the Almighty (ho pantokrator). The translation of the Hebrew אהיה אשר אהיה from the Old Testament is ego sum qui sum in the Vulgate. The Vulgate of Jerome corresponds closely to the Septuagint in its Latin translation of ehyeh asher ehyeh and ehyeh as "ego sum qui sum" and "qui est" respectively, which in turn translate into English as "I am who am" and "He who is". The Talmud states that "a person should complete his portions of scripture along with the community, reading the scripture twice and the targum once (Shnayim mikra ve-echad targum)." This passage is taken by many to refer to Targum Onkelos. Pistis Sophia is an important Gnostic text discovered in 1773, possibly written between the 3rd and 4th centuries AD. The remaining manuscript, which scholars place in the late 4th century, relates the Gnostic teachings of the transfigured Jesus to the assembled disciples (including his mother Mary, Mary Magdalene, and Martha), when the risen Christ had accomplished eleven years speaking with his disciples. In it, the complex structures and hierarchies of heaven familiar in Gnostic teachings are revealed. The text proclaims that Jesus remained on earth after the resurrection for 11 years, and was able in this time to teach his disciples up to the first (i. e. beginner) level of the mystery. It starts with an allegory paralleling the death and resurrection of Jesus, and describing the descent and ascent of the soul. It then proceeds to describe important figures within the Gnostic cosmology, and then finally lists 32 carnal desires to overcome before salvation is possible. The female divinity of Gnosticism is Sophia, a being with many aspects and names. She is sometimes identified with the Holy Spirit itself but, according to her various capacities, is also the Universal Mother, the Mother of the Living or Resplendent Mother, the Power on High, She-of-the-left-hand (as opposed to Christ, understood as her husband and he of the Right Hand), as the Luxurious One, the Womb, the Virgin, the Wife of the Male, the Revealer of Perfect Mysteries, the Holy Dove of the Spirit, the Heavenly Mother, the Wandering One, or Elena (that is, Selene, the Moon). She was envisaged as the Psyche of the world and the female aspect of Logos. 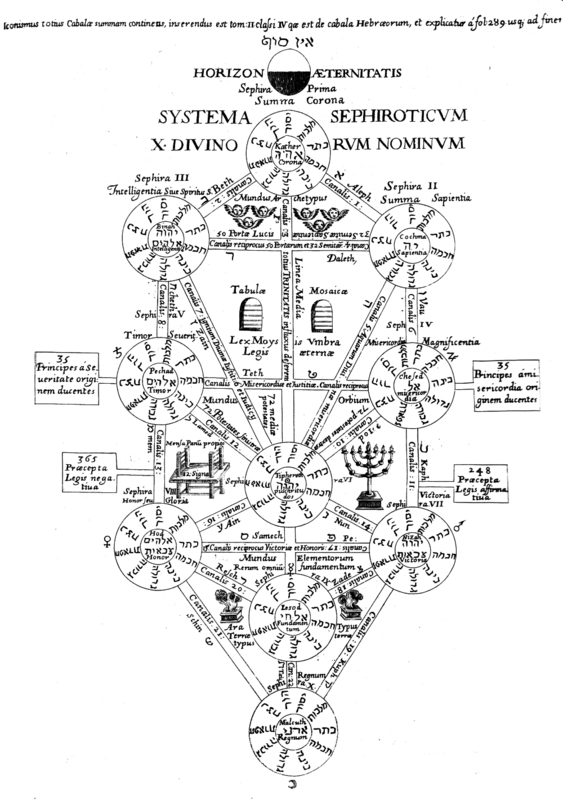 a central idea in Kabbalah (and to a lesser degree Judaism in general). The name of the heavenly Father and Supreme Being is in fact AHAYAH ASHER AHAYAH - NOT YHWH. God (Elohim) - the Father (Abba), Holy Spirit (Ruach HaKodesh), and the Word (Immanuel) - the Alpha & Omega (I AM that I AM) spoke to Moshe on Mt. Horeb thru "the Word" to give him the 10 Commandments. The Torah is the Word of God (Elohim)... this is the Will of Elohim that the Word made Flesh - Immanuel - gave to His Apostles to give to the children of Israel - those who would persevere to keep His commandments (the Law/Torah) and become Saints in the Kingdom of Heaven. Ahayah Asher Ahayah (I AM that I AM) - Ahayah (I AM) is stated in the first person to Mosheh ("Moses") on Mt. Horeb which is also often transliterated as Ehyeh Asher Ehyeh. I had never heard the Father's true name said while I was a Catholic or Adventist and most likely you have not either. Reason: the true name of the Word Elohim has been suppressed to the masses and instead have been deceived by venerating and praying the name of a false and pagan Canaanite god. I encourage you to see for yourself the following links for definitive proof as it appears in Exodus 3:12-14 Interlinear translating to Hebrew (keep in mind English is read left to Right and Hebrew Right to left: http://biblehub.com/interlinear/exodus/3-12.htm and http://biblehub.com/interlinear/exodus/3-14.htm and http://biblehub.com/text/exodus/3-14.htm . Incidentally, Biblehub.com (aka Biblos.com) is a fantastic tool for scripture and subject research. Look above the English name "I AM WHO I AM" - you will see the Hebraic transliterated name with Strong Concordance # above it: ’eh·yeh; ’ă·šer ’eh·yeh; . Most of the Old Testament scriptures were written in Paleo-Hebrew, or a closely related derivative. Generally considered to be an offshoot of ancient Phoenecian script, Paleo-Hebrew represents the pen of David, the script of Moses, and perhaps even the Finger of God on the stone tablets of the Ten Commandments. Modern Hebrew, on the other hand, is not quite so ancient. Israelites acquired this new alphabet from Assyria (Persia), somewhere around the 6th-7th century B.C. This was the same general time period as Israel’s exile to Babylon . . . many centuries after most of the Old Testament was written. Initially, the Old Testament Scriptures were exclusively written in Paleo-Hebrew. Then, after borrowing the new alphabet from the Assyrians, the Jews began transliterating large portions of Scripture into the newer version. 3:14 VY'aMUr 'aLHYM 'aL-MShH 'aHYH 'aShUr 'aHYH VY'aMUr KH Th'aMUr LBNY YShUr'aL 'aHYH ShLChNY 'aLYKM. 3:14 And God (Elohim) said unto Moses, I AM THAT I AM: and He said, Thus shalt thou say unto the children of Israel, I AM hath sent me unto you. 13 Then Moses (Robert) said to God (ELOHIM) (the President/CEO), "Behold, I am going to the sons of Israel (the new administration), and I will say to them, 'The God (President/CEO) of your fathers (the previous Administration) has sent me to you.' Now they may say to me, 'What is His name?' What shall I say to them? "14 God (ELOHIM) (the President/CEO) said to Moses (Robert), "I AM WHO I AM" - the ALPHA & OMEGA (John John) and He said, "Thus you shall say to the sons of Israel (the new Administration), 'I AM - the ALPHA & OMEGA (John) has sent me to you. '"15 God (ELOHIM) (the President/CEO), furthermore, said to Moses (Robert), "Thus you shall say to the sons of Israel (the new Administration), 'The LORD (the President), the God (ELOHIM) (the CEO) of your fathers (the previous Administration), the God (ELOHIM) (the CEO) of Abraham, the God (ELOHIM) (the CEO) of Isaac, and the God (ELOHIM) (the CEO) of Jacob, has sent me to you.' This is My name forever, and this is My memorial-name to all generations. So "John John" ("John") is his name forever - it's not "President" or "CEO" ("YHWH" 3rd person). President or CEO is only the position/title the old administration knew him by never having known his 1st name (AHAYAH ASHER AHAYAH - ALPHA & OMEGA 1st person). ancestors (1), family* (1), father (571), Father (8), father's (137), fathers (333), fathers' (120), fathers' households (1), forefather (1), forefathers (27), grandfather (1), grandfathers (1), households (5), Huram-abi* (2), sons (1). 5 Abbá – "Father," also used as the term of tender endearment by a beloved child – i.e. in an affectionate, dependent relationship with their father; "daddy," "papa." spirit (9), wind (1), winds (1). So as you can see, whether it is IMMANUEL in Hebrew or EMMANOUEL in Greek - they are both NAMES meaning "God with us" given to the Son of God by Isaiah in the OT AND Matthew in the NT. Editor's Note: Scientific Proof that the Nazarene is God can be found in the chapter, "Shroud of Turin" (click here) where the creation of the sudden burst image on the shroud is likened to the sudden burst creation of the universe via the phenomenon called "Singularity". I encourage you to see for yourself the following sites for definitive proof as it appears in Exodus 3:12-14 Interlinear translating to Hebrew (keep in mind English is read left to Right and Hebrew Right to left: http://biblehub.com/interlinear/exodus/3-12.htm - http://biblehub.com/interlinear/exodus/3-14.htm. Incidentally, Biblehub.com (aka Biblos.com) is a fantastic tool for scripture and subject research. Look above the English name "I AM WHO I AM" - you will see the Hebraic transliterated name with Strong Concordance # above it: ’eh·yeh; ’ă·šer ’eh·yeh; . Most people believe the Lamb of God is crying out to His Father on the stauros He died on but this is not the case. He would have called on "Abba" meaning Father if this was true. Instead, He is calling on "Eloi" which is Aramaic for the plural "God" meaning both His Father and the Holy Spirit. of Aramaic origin elah with pronoun suff. (Aramaic) corresponding to 'elowahh; God -- God, god. Eli – a variant on the name of God, or "my God"
Nathanael, Nathaniel – Given by God or God has Given or "Gift of God"